Good morning, what a great idea for a book! Small quilts make for a nice break from the larger ones. About those charm packs, I am certain I have 2 of them still in tact and just saw them yesterday. I believe I have another one that I tour apart as I was going to use them in a baby quilt and never did. Have a great day and thanks! charm packs or carm squares? LOL! I have about a dozen packs and a 2 foot tall stack of squares. I love them, they are like candy! I think I have about 15 charm packs. I just love them and the book looks great. Thanks for the giveaway! This sounds like my kind of book! I love to make small projects as "in-betweens". Like when I'm quilting a larger quilt and itching to start a new one. I have a dozen charm packs and this sounds perfect to start cutting into them. Thanks for the giveaway. Cheers! Like you I have many charm packs. I can't resist them! It;s time to use some of them and this book looks perfect for that. I feel like a quilter now because I have quite a few charm packs too!! Not much else mind you! 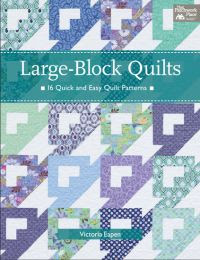 Would love to win this book I love making quilts with charms. Thanks for the giveaway. What a great idea for a book. Yes, I probably have twenty charm packs in my stash. Please don't make me count them! I have three charm packs in my stash ... one is ghastly and floral and fugly and pretty much unusable and the other two are just about to be whipped up into baby quilts! thank you for the chance to win such a lovely pack! I love little quilts! These allow me to change my decor frequently. I currently have 6 charm packs. I've only got about 5 charm packs in my stash,but all are so beautiful I don't want to break them open!! I need a book with some little quilts to make me set them free! I really like what I'm seeing in this book! I probably have 6 or 7 charm packs.... and possibly a few "hidden" in my stash! Thanks for the opportunity to win this book! Wow, it's hard to admit that I have 45 charm packs (I just counted). Am I embarrassed? Am I worried about compulsive hoarding? NOPE! I am new to charm packs and only have four at this point....but I only make small quilts. This book looks to be delightful! Hmmmm, at least a dozen, although 9 are duplicates with plans for 3 "big" quilts. Thanks for the chance to win! I have 7 charm packs in my stash! They are VERY expensive here in Canada...anywhere from $15 to 19! I try to stock up when I get down south...LOVE them! PS...Where are my manners! !Thanks for the chance to win this lovely book! Looks right up my alley! Eeek! I only have one charm pack!! I was thinking about using it to make some placemats but if I win this book I might get some other ideas - thanks for the chance!! Had to go count -- not so bad, I have only 11 charm packs, and 3 are for a giveaway this week! But so gracious of you to offer the book to us -- thank you! I have about 30 charm packs and I've given quite a few of them away. I need to find something to do with them and this book seems to be the solution! I'd love to be entered! This books looks fabulous! I have 7 charm packs waiting for a great pattern! Thanks for the giveaway! I have about two charms packs, one solid, one print. I have 7-10 charm packs. I started buying them of lines that I love but can't afford to buy! Looks like a great book and a wonderful idea for those of us who are space-challenged. I probably have a dozen charm packs hiding around here waiting for the perfect projects! I am charmless right now, so I really need to win your giveaway! I am sorry to say I don;t have any charm packs because I wasn't sure what to do with them but our local quilt shop has lots of beautiful choices. It will be something to look into. Let's just round the number to 20. Although I think I have more... ;-) I could use this book to help whittle down that number! Fingers crossed! I have about a half dozen packs here already and just ordered a new one of Summersville. This book would be really handy for me, huh? Thx for the chance. What an interesting looking book! I have less than 6 charm packs right now; I have been sewing with them -- love to use them for smaller quilts! I have at least 15 charm packs, probably more that are hidden in other places. This looks like a great book to use up some of them! Thanks for the chance to win a copy! I only have 9 charm packs in my stash. I was relieved to see that number was lower than I thought. I have used a few lately and that is always a GREAT feeling! I can't bear to make myself go in and count them. I'm sure I have at least 25 to 30, but I love them! They're so much fun to look at and sew with. Maybe around 40. Plus, there's always a few that don't get used when making a project, the left-overs are in a basket that runneth over, probably 200 or so individual 5" squares in the scrap basket. That being said, I would like to say this looks like a great book. I love mini quilts. Two things I love together: minis and charm packs. I have about 25 right now, but would love one more. Thanks for the chance to win. The book looks wonderful. I actually don't have any charm packs, but probably about a half a dozen whole or partial jelly rolls hanging around. Charm packs... charm packs... I have a hometown, little gatherings, santorini, ruby, and a mini charm pack in antique fair. They all look lovely as they patiently wait for me to pay a little attention to them! Maybe 10 packs of charms, but probably not too many matching. The official count is lucky number 13 and I love them all. I have about 7 charm packs and a stack of charm squares too. I also love mini quilts! What a great giveaway! That looks like a great book...my charm stash is embarrassing too!! Let's just say there are quite a few. I recently whittled away at my stash and have only one charm pack left! I have at least 40 charm packs so I can really use this book. Thanks for the giveaway!! I think I have 2-3 charm packs in my stash. I have a million other small scraps though! This book is such a great idea. I have about 10 packs of charm squares. Thanks for the chance to win. I think I only have about 5 charm packs (but I could get more if I won this !! hehe) I am usually a jelly roll kind of gal! This looks such a great book! and Salt Air as well!! I have 5 charm packs in my stash! What a great looking book! I'd be beyond excited to win this one. I think I have approx 20 charm packs in my stash. Four charms packs in my stashso I`d use them with this great book! ummmm....I have a whole bunch of charm packs. I buy two of each collection that I can't live without because Miss Rosie's Schnibbles patterns each require 2 charm packs, and I'm addicted to Schnibbles, among other things. I think I have 5 packs, last time I looked, lol. I like the idea of making quilts with them and love mini quilts, fun to do and great gifts. I was looking at the new ruler for marking and sewing, so that would be perfect with charms. HELLO! 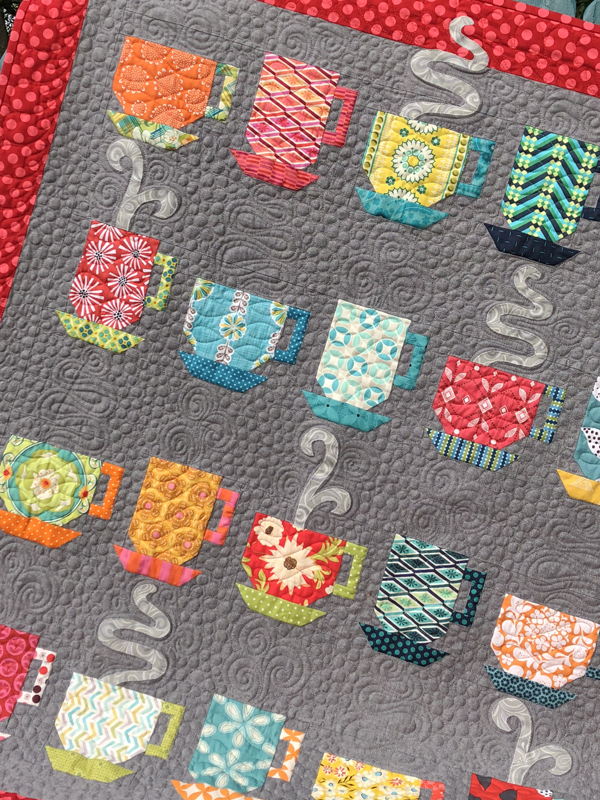 I'M A BEGINNER QUILTER WITH ABOUT 10 CHARM PACKS>LOVE USING THEM+WOULD LOVE TO WIN SOME MORE! Vickie, I only have 2 right now. I do not get the opportunity to buy them often and when I do, I use them right away. Thank you for the chance to win. I have about 10 mini charm packs and I would love to have a book showing me how to use them. Thanks for the chance. I don't have a ton of charm packs right now. I have had more in the past but made some scrappy skirts for my daughters with quite a few of them. I think I have around six or so right now. Thank you for the great giveaway! I have 1 charm pack in tact in my stash however I like to cut my scraps into 5" squares so techically I have charms coming out of everywhere! Have two small charm packs (about 20 charms total) so would be wonderful to win some to use for the great book projects! Thanks for the chance. Just stopped by to read your blog and was surprised to see your giveaway. Very nice of you to do this. When I buy charm packs, I usually get 5 of the same fabric line. So I probably have about 35 packs right now. I love Konda's books. Thanks for the chance to win. OMG! I'm glad I read some of the comments so I don't feel so ashamed. I have about 12 charm packs, and then a big stack of charms I cut from my scraps or got from swaps. I love Konda's style. I don't have any of her books, but I did really like her block she designed in that 100 Quilt Blocks magazine. This book looks like so much fun! I'm embarrassed to say I don't have any charm packs in my stash, I never bought any of them. I did buy what I thought was a charm pack from someone on ebay a couple of years ago, but it turned out to have only four fabrics, with 10 squares of each. If that counts, I have about 3/4 of it left. Thanks for the giveaway. I think I only have a couple of charm packs and a couple of layer cakes. But they are always SO tempting. The book looks very inspiring! Hmm....well, I know for sure I have 5 but I suspect there are others lurking somewhere. Thanks for the opportunity, I have one of Konda's combo books and love it! 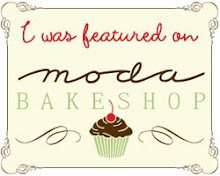 I have five sets of charm packs in my stash plus a box of Moda's mini charm squares which I won as a door prize. I would love to win this book for ideas to use up my charms packs. Thanks for the giveaway. I have 3 charm packs, all with projects in mind. Who knows how many left overs from charm packs I have...that's a whole different issue! I have about 10 charm packs and would enjoy making mini quilts. This is amazing idea for a book! I have charm squares and 2 charm packs. The book looks so interesting. Thanks for the chance to win. I love charm packs, minis and Konda. I probably have more than 10 charm packs- I don't want to know the actual number. I also have 3 UFOs using charm packs. I think I have about 10 and I think 6 are from the same range. Love using Charm packs and probably have a dozen or more! This book looks like a winner. I love making small quilts and displaying on my tables and walls. What a great looking book! I have about 5 or 6 charm packs at the moment! Hi. I have about 10 charm packs and many, many charm squares. I recently got back into quilting after years away and charms packs are the first fabrics I bought to add to my old, smallish stash.This book would probably be fun to use. I have plenty of charms...what a great book. Thanks for the chance to win. Did I mention I also have three baby quilts I need to make? Eek! I have 22 charm packs! This book looks like a blast!! I have only 4 charm packs at the moment. I would love to say I have your problem of too many!! haha!! That looks like a fantastic book. I know I have at least 20 and quite likely more than 30 charm packs (with another one on order, I'm afraid to count! ), so the book would find a good home with me! i have been cutting my scraps into squares for months...so i have squillions of charms squares...and probably 20 charm packs...i love having a bit of every collection i love. Believe it or not I only have one in my stash currently. I tend to buy them with a specific project in mind and usually buy yards or fat quarters for my stash. This book looks really fun. I had 10 charm packs in my stash, but I gave two away to my DIL. She is learning how to quilt and these are perfect. Great looking book, minis are a favourite of mine and charm packs are perfect. Thanks for the chance to win. Just 2 charm packs but might buy more if I win this book! Usually very few on hand, because I buy with a project in mind. I think I have 2 right now. I currently have at least 12 charm packs. Would luv a copy of the latest Moose On the Porch book. I already own one of their books. PS.my birthday is the 15th, so what a nice present the book would be!!!!! What a great book! At the moment I only have 3-4 charm packs but that will change soon. I've seen so many cute ideas for them lately. Thanks for the chance! I only have 2 or 3 charm packs in my stash, but I'm always looking for ways to use them, a book would be great inspiration. Thanks for the chance. I have no idea how many charm packs I have! I only have 13 :( this book would be a great way to use them! I have two or three. Hey! I want that book. Konda is a sweetheart. And this blook looks super good. Charm packs rule. Missed you girls by not going to market. Sigh. I was there in spirit. Wow, what a beautiful book! What a great idea for a book...can certainly use this! I have about 3 charm pack waiting for a project. Thanks for the chance to win. 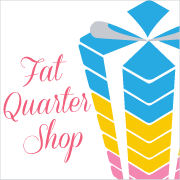 I'm usually a FQ buyer - no charm packs for me! But I do have a small collection of I-Spy charms. None for me but sure wish I did have some!! Right now I have 12. I usually buy them in sets of two. I only have six...time to go shopping! Oh is "a lot of them" acceptable? LOL. I adore charm squares. You get a taste of every lovely fabric for a reasonable price. It makes me a happy quilter! I only have 2 charm packs at the moment, my stocks are seriously depleted. Thanks for the lovely giveaway.